We are a family based breeder in Caldwell, Idaho. 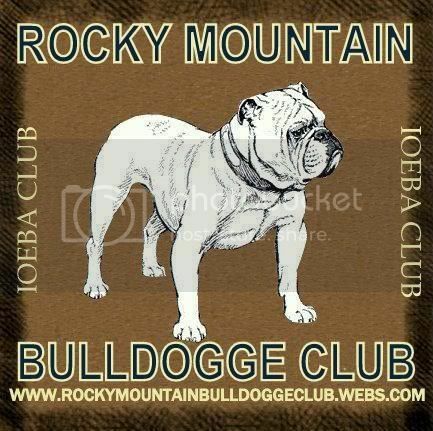 We are devoted to producing two rare alternative bulldog breeds, one called Olde English Bulldogges. 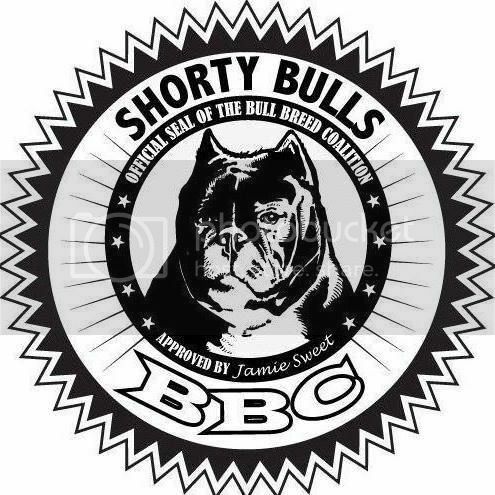 (Pronounced Old English Bulldog) the other is the Shorty Bull (Miniature Bulldog Breed) We are currently working on a page for our Shorty Bulls. They are not English Bulldogs. Although we love the modern English Bulldog we have found that they have extensive genetic health issues due to the inbreeding and out crosses to the Pug that occurred during the early developmental stages of the English Bulldog. Such health issues include breathing problems, skin allergies, little or no heat tolerance and breeding/whelping problems. 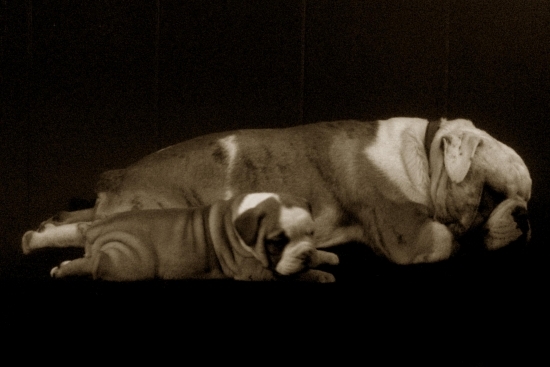 Most Olde English Bulldogges, though do not have the health problems that plague the English Bulldog. They are more athletic, healthier and thus happier dogs. However unfortunately some unscrupulous breeders of the Olde English Bulldogge have been bringing health issues into this wonderful breed! 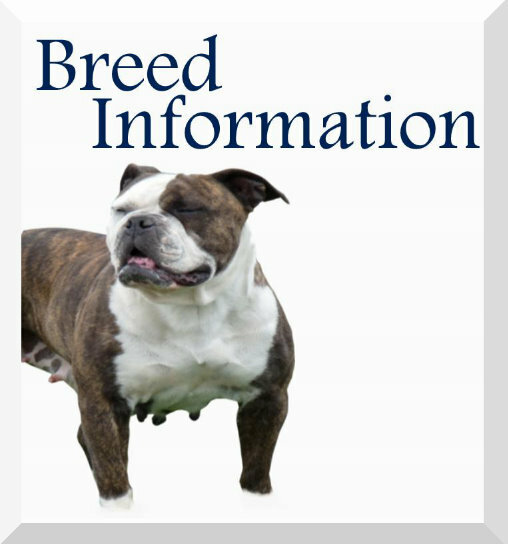 So while researching getting an Olde English Bulldogge puppy, please make sure any breeder you consider getting a puppy from DOES NOT breed dogs with health issues, even apparent minor issues such as entropion. We do not breed dogs with health issues and have a written 1 year health guarantee for inheritable health issues. 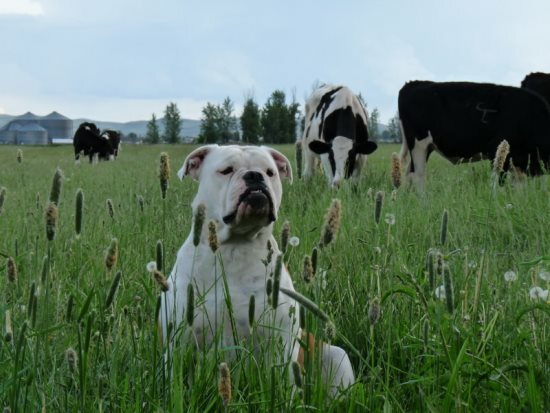 Here at 7 Acre Kennels our dogges are excellent examples of the Olde English Bulldogge breed and meet the IOEBA breed standards. We are not a puppy mill; we adhere to the IOEBA breeder code of ethics, maintain the high standards and encourage others to do the same. Our dogges are our valued pets and companions. They receive proper physical and mental care, regular vet check ups, and lots of love and affection. We breed for health, athleticism and conformation. We do not breed our dogs for special or rare colors. Health, temperament and structure are first and foremost in our breeding goals, color is just an added bonus but not a focal point in our breeding goals. Thanks for visiting 7 Acre Kennels; we hope that you enjoy our dogges and our site, we encourage you to thoroughly check out our website including the "About Us" page to learn about our goals and ethics. Thanks and come back again! Be sure to stop in and sign our GuestBook and leave a picture too! We would love to hear what you think about our site and Bulldogges.